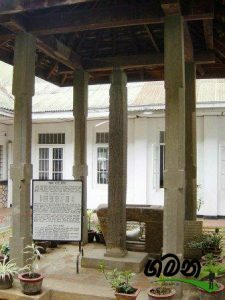 This granite pillar inscription belongs to the era of King Udaya IV and known as the biggest pillar inscription in the country. It was found a place near Mahiyangana, closer to Sorabora Wewa in 1854. Later it had being located at the current place, Badulla Public Library to preserve it. According to the archaeologists, the inscription mentions about the king’s orders about a market and rules of trading.